Andrew Zimmern discovered this "mind-blowing" bread recipe on a recent trip to Ireland. Last summer I spent a week in Ireland, mostly in and around Cork. What’s happening there food-wise is nothing short of magical. I haven’t seen an artisanal food community with as much diversity and as high a level of quality anywhere in the world. From hyssop- and elderberry-infused juices to handmade sausages, from smoked fish to baked goods, from cheeses to jams—everything I tried was devoid of the pretension and wink that often accompanies this type of fresh local food production, especially in the US. More importantly, while the whole world can sing a U2 song or recite Yeats, Irish food is a cultural icon that’s harder to define. Ask most folks to name an Irish dish and they will immediately shout out, “Corned beef and cabbage.” I spent a week in that country and never saw it—not once. What I did find was the best farmhouse cooking on the planet. One day at Gubbeen Farm in Schull, I had one of the best meals of my life. Gubbeen is a family-run farm where the Fergusons have raised dairy cows for five generations. Giana runs the famous cheese room, Clovisse runs the gardens and Fingal runs the meat shop We spent about 18 hours working, cooking and shooting with these amazing folks. Giana and Clovisse cooked all day for us, and the crew lunch they prepared remains one of the most memorable meals of my life: tomatoes from the garden, roast chickens from the pasture out the window, broiled fish from the brook, and all of their own pickles, cheeses and terrines. The most impressive treats were Clovisse Ferguson’s rolls: yeasty, springy, light, sweet bread with a crisp brown mantle of a crust. I had been on the lookout for this baked perfection for a decade. For real. When I finally found it, I turned cartwheels. Clovisse promised to send me the recipe and in turn, I am sharing it with you. She says she got the technique and recipe framework from the amazing Darina Allen of Ballymaloe, and then worked her own magic on it. I use it for sandwiches and burgers and I also make large loaves and top them with minced onions for serving with a grilled steak. For a sweet treat, I roll small balls of the dough in brown sugar, cinnamon and butter, then pack them in baking molds to make insane pull-apart buns. 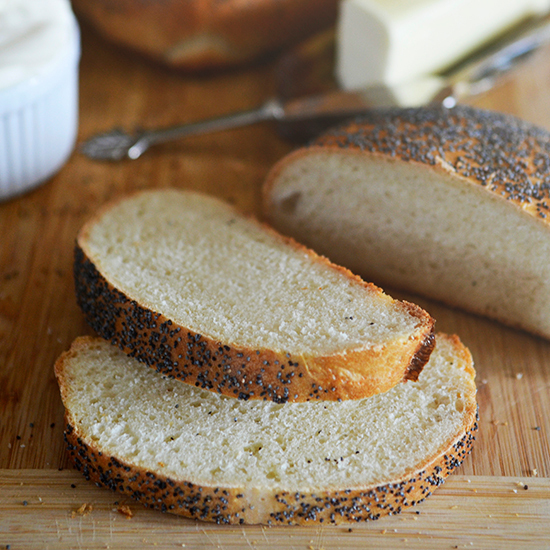 Seriously, this bread will blow your mind. Get the recipe.